Chowdury: My platform stands on the words, “Let us Connect,” and I say this because my goals as being president refer to connecting many groups of people, and to unify a campus that is divided in evident ways. I want to get programs, and events that will allow people to expand as artists, engineers, doctors, and I will do everything to coordinate these events. I will make it more efficient so we can catalyze a community that is one. My platform will help initiate change in programs by making sure the whole campus is allowed to voice their opinions in polls created by SGA, which will ask controversial questions relevant on campus, and will ask the student body about some things that they would implement so that we can work together to achieve progression. That is why I simply say Let us Connect. Chowdury: I think some big issues regard to how we as a class connect in social media, and concerns by the student body. I believe that the student body is at a point of disconnection, and in order to represent the college experience, my administration will steer us to connect by polls asked to the student body. We will work together in repairing what is done by the budget that we have in SGA. I will use the budget we are given to ensure plans that these polls answer. For example we could set a poll for what events the student body would prefer. I will make sure we can address these problems, but my campaign is on the issues that matter. Those issues are what does the student body want, and what questions do I need to ask in order to implement accurate polls. 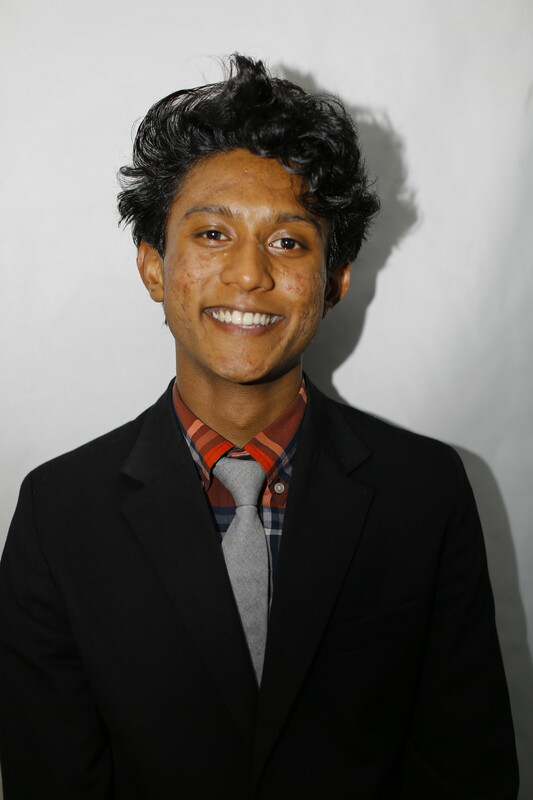 Chowdury: I will connect with all of the members serving in SGA in each of the six campuses, and enforce student-based polls for each school in order to achieve unity. This will allow us to see the different needs in each of the different campuses and allow us to fix any issues that would be shown on the polls. I will also connect and speak to members of SGA, and have hearings of ideas that can be implemented. I hope to have this achieved through the rights I have as president, and my campaign is based on the student body. Chowdury: I think I am the best candidate because I am driven for results, answers, and working towards progression. I am the best candidate because I will work every day, and keep my promises. I am highly social in my opinion, and I would be able to take my concerns with assertiveness to the Dean if we need change. I will work with individual clubs, and see what we can offer them, and what they can offer us in return. I will lift us up from oppression that may be evident in the polls by voicing my opinions, and using my powers to make changes in the campus’s events. I want to unify, and I am looking at all the people rather than the governing people. I want the people’s voice to be heard, and I want to avidly pursue this position and use it to its full ability. I am a highly efficient character, and promise in my first 100 days to setup a method to poll certain questions asked by the people. It will be translated as a general question to all of the student body afterward. I want to create solutions for problems unseen, and that is why I would absolutely be the best. Chowdury: I strongly believe being a panther means being open minded, and I have described my platform to be in that unifying light amongst the uniqueness of the student body. On campus, we have thousands of creative ideas as students, and great members of the SGA. I believe I can be the leader that shows the change, and listens to what changes we need by investigating issues on a multitude of perspective. I will show, and have showed my peers that I can do this through my experience, clarity, and efficiency in high-stress situations. I have been in multiple leadership academies, and programs that have driven out the leader within me. If I have your vote you can trust me to deliver to my peers, and loved ones as I have in the past.